Inflatable tents have no internal structure, they stand only by using air pressure. 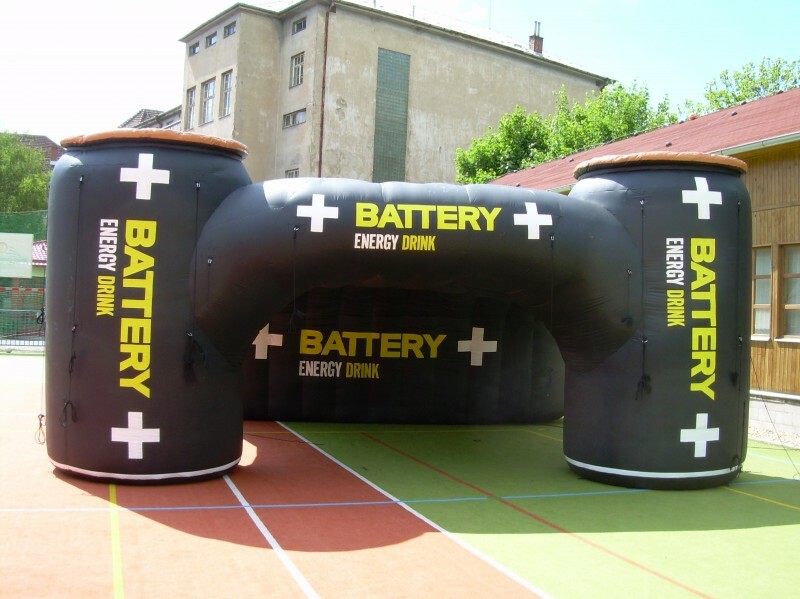 That means you can install the tent on the site within minutes and all you need is a power source. 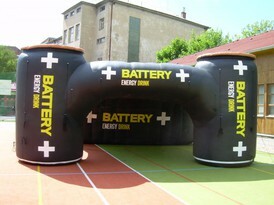 Inflatable tents are used for roofing various corporate or social events and are also suitable for fairs or exhibitions. 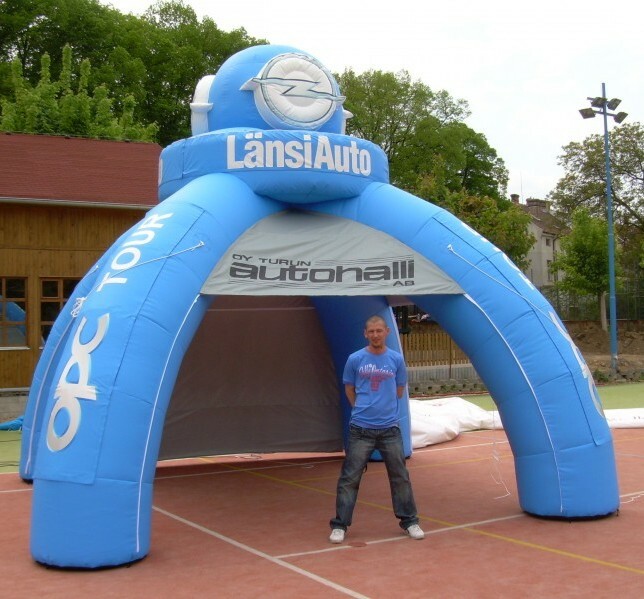 Classic four-legged tent is bestseller. 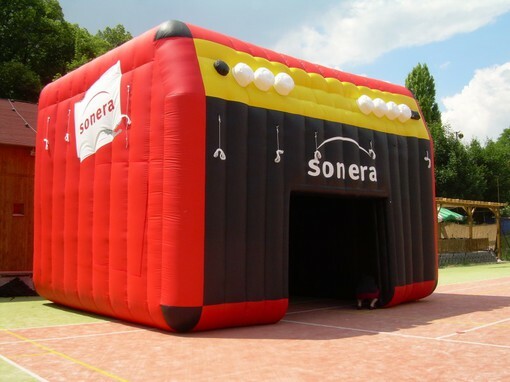 Tent has removable side walls, so you can easily change its appearance. 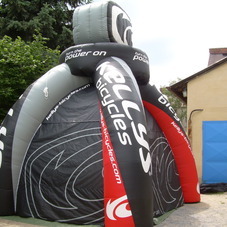 Unsuitable standard sizes? 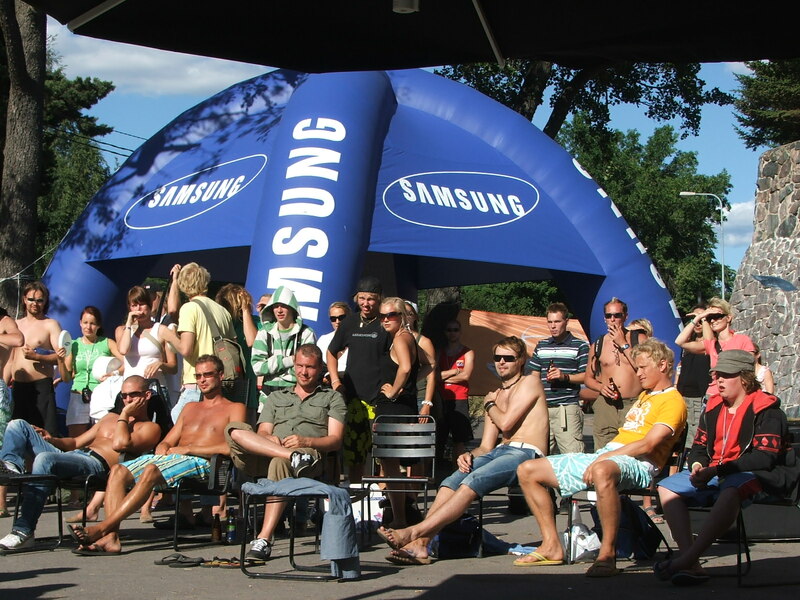 Nevermind, we produce the tent as you need. Atypical tents are suitable for customers who really want to distinguish. 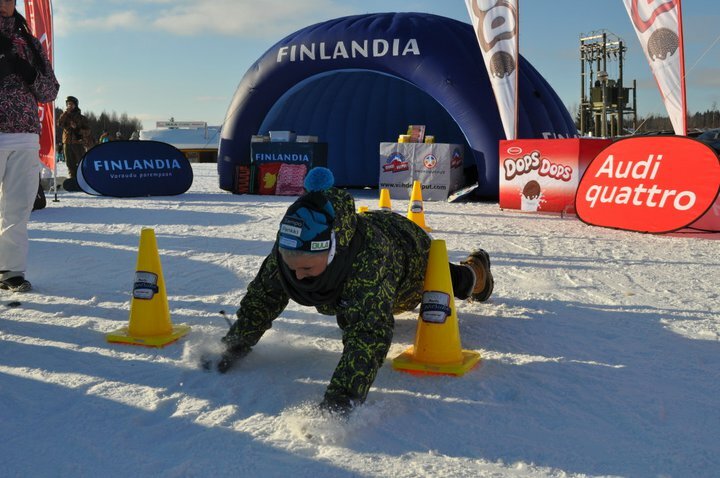 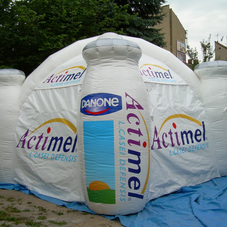 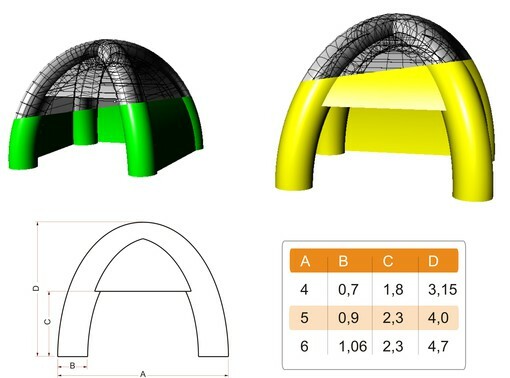 Imagination has no limits - we produced tents shaped as helmet, radio or various igloo. 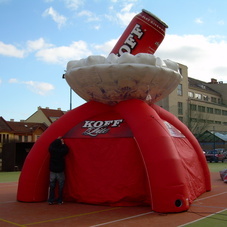 The original tent is an noticeable element of your presentation.